Spyderco’s Double Stuff two-sided pocket stone has long been the sharpening tool of choice for fishermen, outdoorsmen, and other knife users who needed a handy, versatile sharpener for touch-ups in the field. The Double Stuff 2 takes this time-tested concept and does it one better by combining an aggressive Cubic Boron Nitride (CBN) abrasive on one side with a fine ceramic stone on the other. This allows the quick, efficient sharpening of dull or chipped edges as well as the easy maintenance of well-sharpened edges in the field. 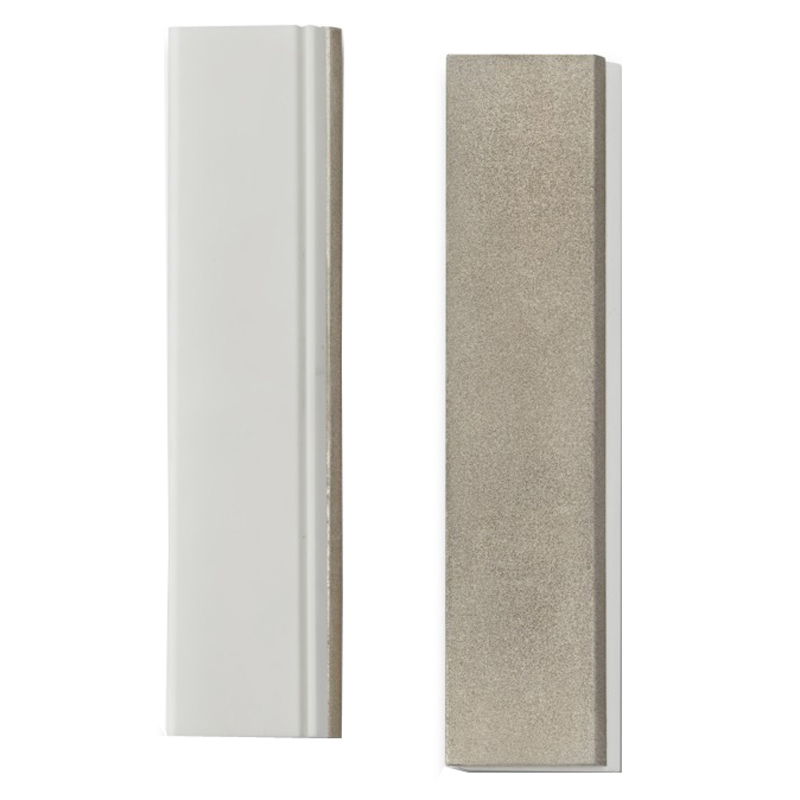 To make the Double Stuff 2 even better, one long edge of each stone offers a radiused surface for sharpening serrations and the fine stone includes a longitudinal groove for fish hooks and pointed tools. Ideal for pocket, pack, or tackle box, the Double Stuff 2 comes complete with a handsome suede pouch.